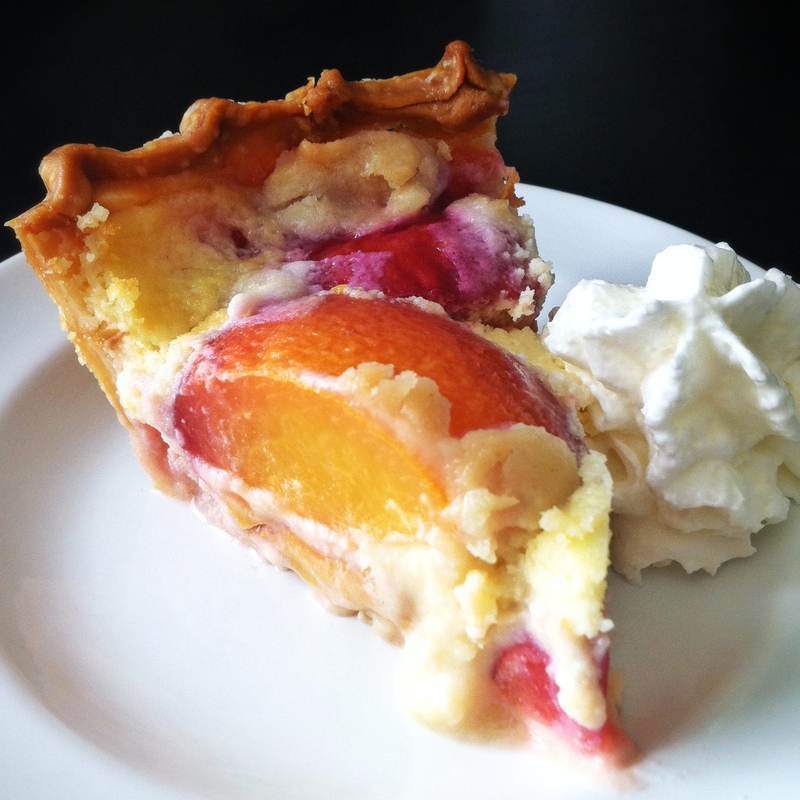 peaches & mascarpone cream pie | omfg. so good. Peaches & cream, I eat it ’cause you know I’m a fiend. And apparently I’m also a nerd. But I can’t help it, this pie made me want to sing along with boy band rappers, 112, about peaches and cream being better when it’s with ice cream. Different context completely, but fitting none-the-less. Isn’t it pretty? Note to self: match up some pantone colors and have Jonny make something using the same palette. A mono-silk pie print. Larger than life. Preheat the oven to 400 degrees. 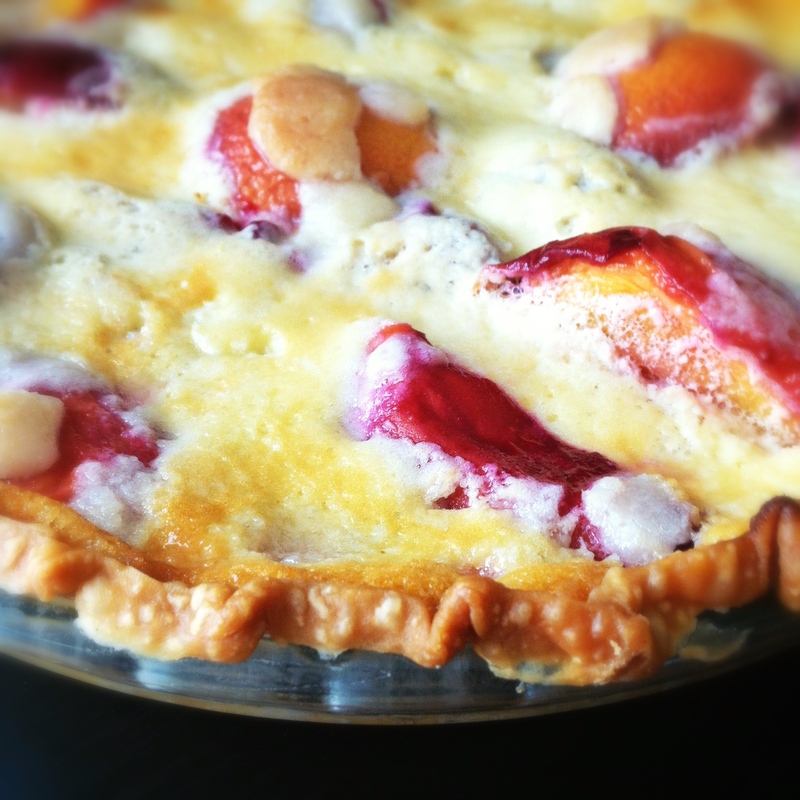 Line a 9″ pie plate with the chilled pie crust, flute the edges and poke the bottom with a fork multiple times. Line the unbaked pie crust with a square of parchment paper and weigh down with dry beans or other pie weight. Bake in the preheated oven for 15 – 18 minutes (until light golden brown.) Remove from the oven and reduce heat to 375 degrees. Let the crust cool a bit, take out the beans/weight and parchment then set the crust aside while you make the filling. Wash, quarter and pit the peaches, but do not peel them. 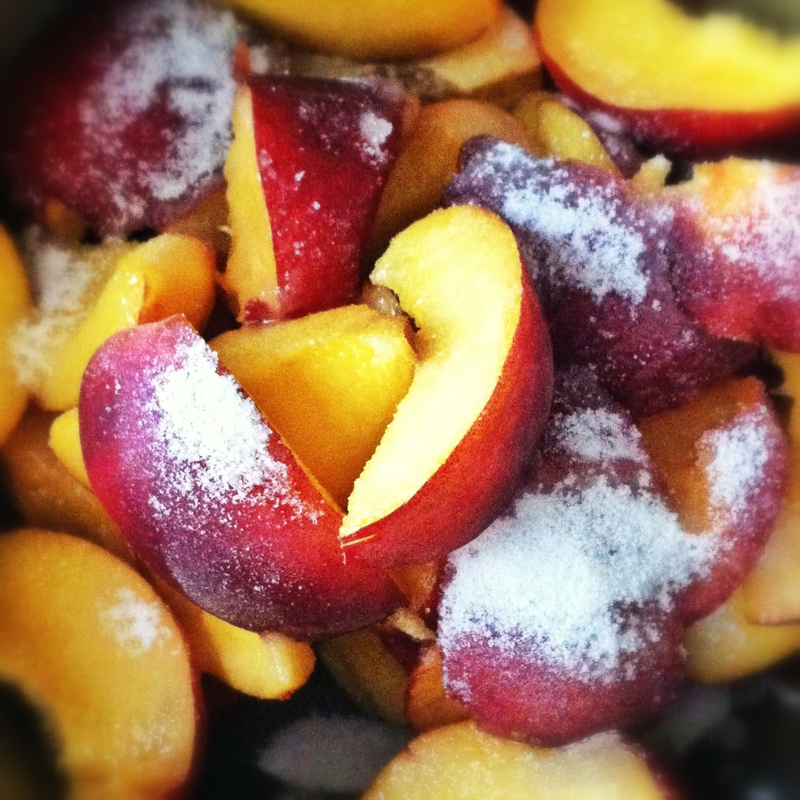 In a large mixing bowl, sprinkle the peach quarters with the 3 tbsp sugar and 1/4 tsp salt, toss to coat and set aside. In a medium mixing bowl, beat the butter and sugar until light and fluffy. Add in 1/2 of the mascarpone and mix to blend, add the egg and continue mixing then add remaining mascarpone, vanilla and lemon zest. Add in heavy cream and mix until light, fluffy soft peaks begin to form. Spread 1/2 of the cheese mixture on bottom of crust. 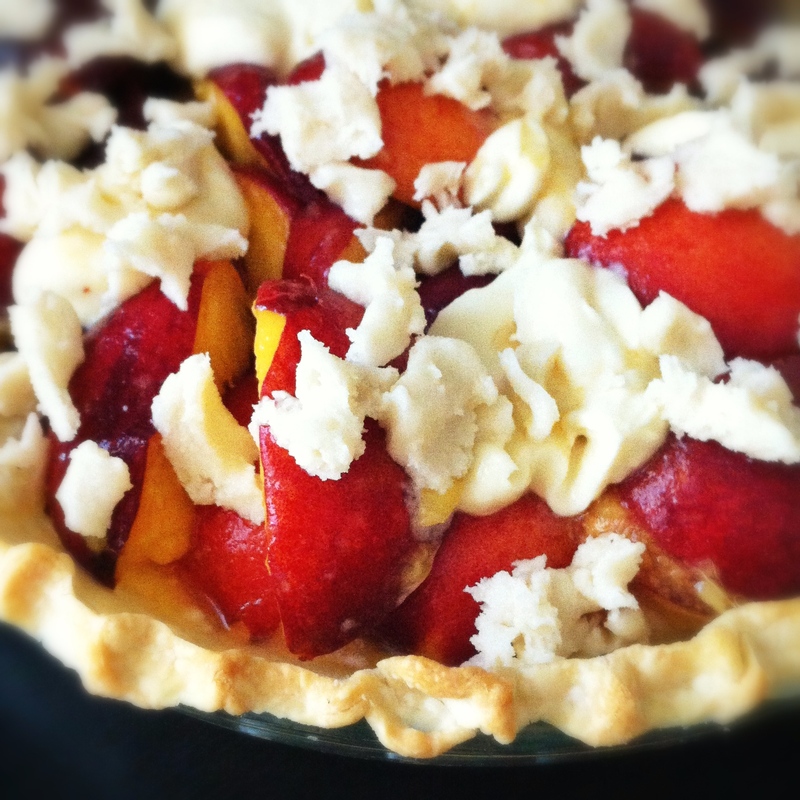 Arrange peach quarters on top of cheese layer then dot with remaining mascarpone mixture. You’ll be tempted to just eat it like this. Hell, I know I was. But trust me, you should bake it. Put the pie back in the 375 degree oven and bake for 45 – 50 minutes or until the top turns a buttery, golden hue. Let the pie cool completely on a wire rack then transfer to the refrigerator to set completely before cutting. 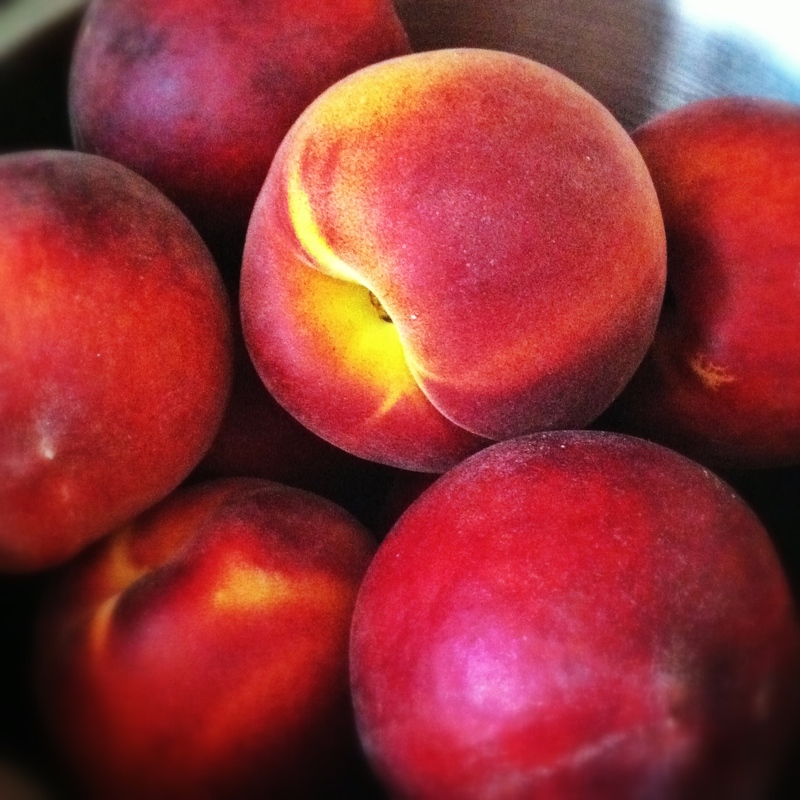 Who can resist peaches & cream on a hot summer day? Apparently not boy band rappers. Definitely not this broad. This looks great! I’m going to try it this weekend with my butter crust. Thanks!